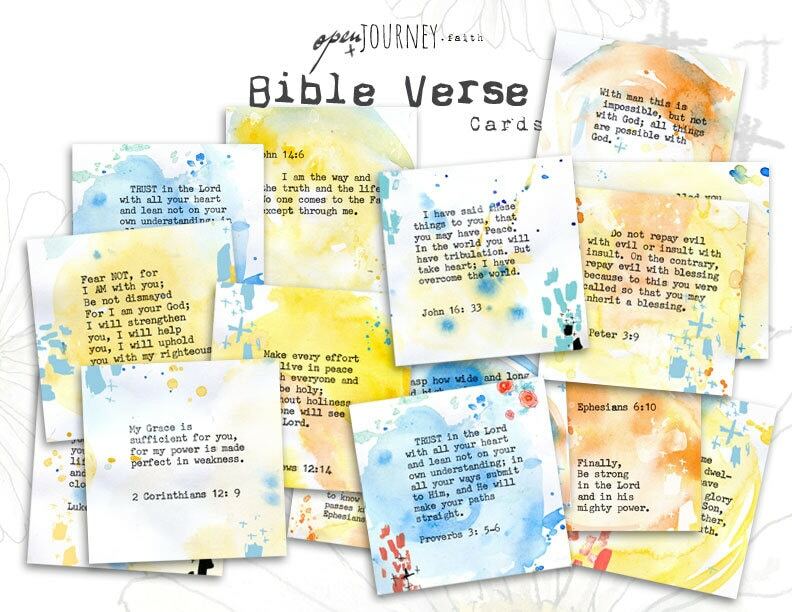 A beautiful and inspiring set of bible verses: print it on your favorite paper and use it for bible journaling, faith journaling, little notes to put in your child's lunch box, mirror notes for daily reminders and encouragement, tags or whatever your creative mind comes up with! 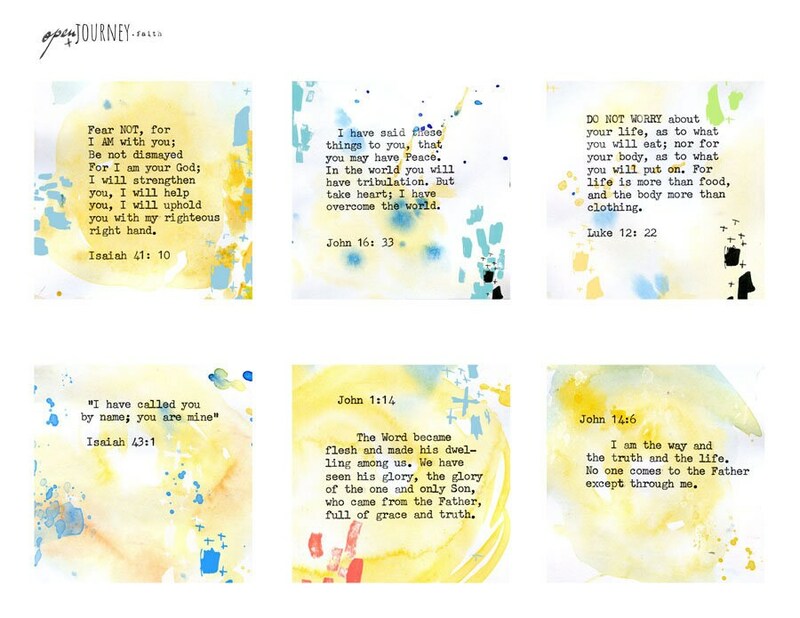 The set contains 24 cards, each measuring 3x3 inches. 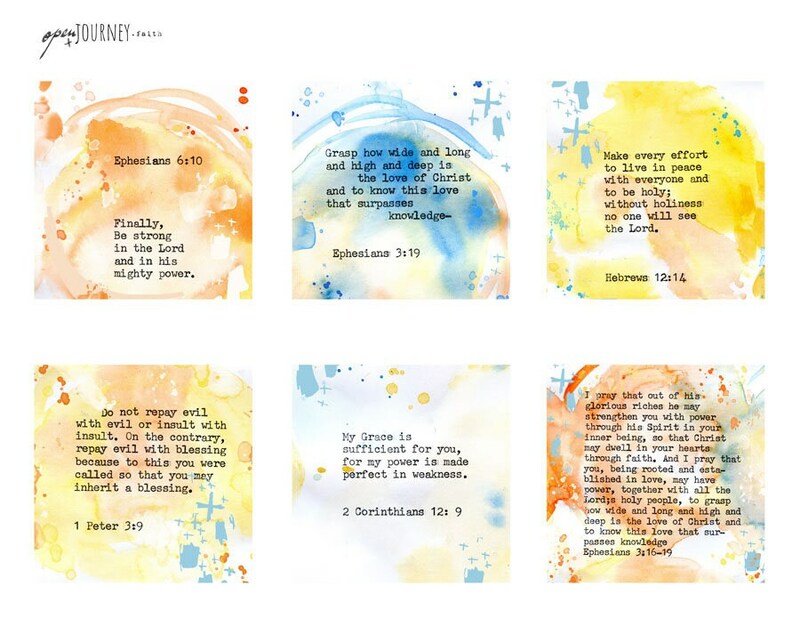 There are 4 pages, each containing 6 cards. 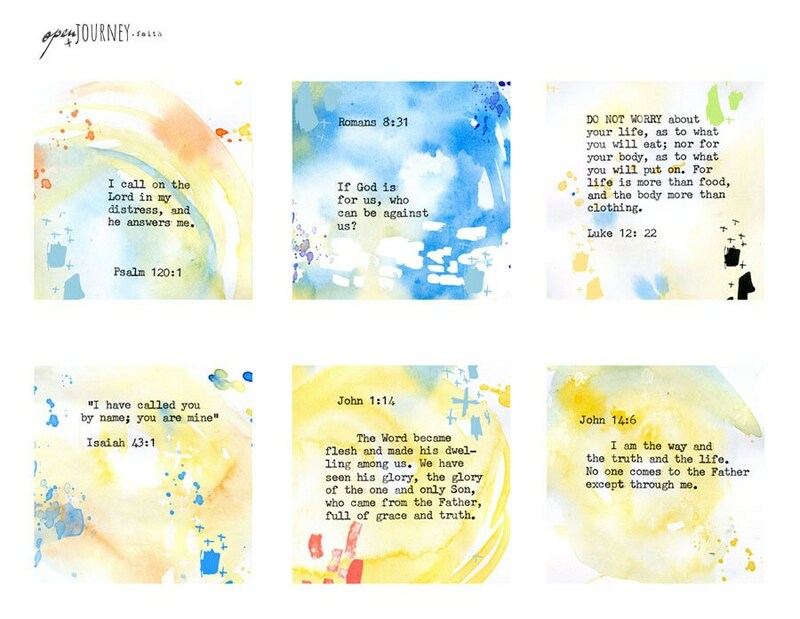 The Bible Verse cards are also available in my shop (cards section) already printed in the same set of 24 or in a larger format, as wall art (fine art prints section). 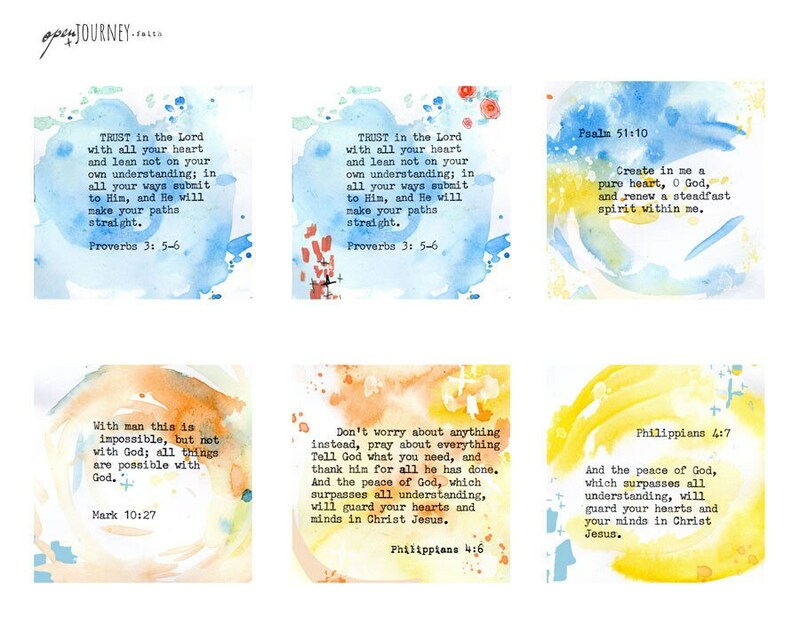 If you have any questions or need any customization for the designs please feel free to contact me.